I’ve always liked the Fantasy Asia setting. There’s something very majestic about damn near everything being considered some kind of serene art form. As such, I’ve always really liked checking out games with a Fantasy Asia setting (or even a historical Asian setting, for that matter). So, I was given a heads up about this game the other night. 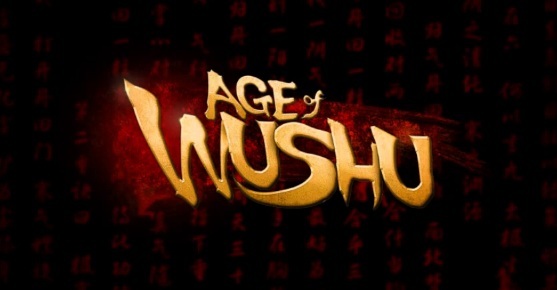 Basically, Age of Wushu is a free-to-play martial arts MMO brought to us by the fine folks at Snail Games. The game prides itself on a unique rock-paper-scissors combat system, a lack of levels, and player-driven economy. Looking at all of this, it seemed like a pretty good time, but unfortunately my bias seeped through as I wandered the peaceful, yet somewhat clunky world. First off, the game is all about style. It’s not as graphically impressive as some other MMOs on the market, but the aesthetic is incredibly peaceful and carries that majestic sense that you get in the setting. There are even little touches, like NPCs looking downright offended and making comments if you shove on past ’em, cinematic finishing moves, and a ton of gathering and production skills you can use. The game really sets up the fact that you can do a massive amount of things. Join one of eight schools each with their own style, learn some professions like hunting, cooking, and even begging. There’s a ton to do in this game, and not all of it includes being the next Bruce Lee. Because screenshots don’t do this game justice and my video guy is unavailable at the moment, you fine folks have got to check out some video for this thing. Unfortunately, I’m just not that much of a fan of it. I’ve heard it described as being like ‘EVE Online, except in Fantasy Asia’. And, to be perfectly honest, I’m not that big of fan of EVE. I’m not slamming the game or anything, it seems to be a well-put-together sort of thing… It’s just not for me. Not at the moment, anyway. The combat, coming from Guild Wars 2’s world of being able to run around and fight at the same time, is very slow and methodical. It doesn’t feel like that badass martial artist you’d expect it to, but more so like World of Warcraft or the original Guild Wars. There’s also so much to do and so many different systems to learn that, in my first few hours with the game at least, it was overwhelming. I know this isn’t much to go on, and I apologize about that, so I’m going to end it here. Keep in mind that this is a beta and some of my complaints may be fixed by the time the game launches early next year. It’s a free-to-play game, so there’s no real harm in giving it a shot. I’m sure if you’re into the Fantasy Asia setting, player-ran economies, and a whole bunch of stuff to do, you’ll fall in love. If not, then you only lost a handful of hours and can always come back as the game improves, which is what I plan on doing. Anyway, apologies that this isn’t Vi and that this isn’t much of a first impressions. As always, thanks for reading and have a good’un. This entry was posted in First Impressions, Video Games and tagged age of wushu beta, age of wushu closed beta 2, age of wushu first impressions, age of wushu review. Bookmark the permalink.